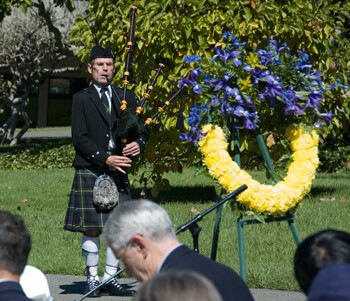 The Berkeley campus will gather Wednesday, Sept. 28, for its 10th annual memorial service to honor those of its own who passed away during the last year. Members of the campus community — among them faculty and emeriti, students, staff and retirees — will be remembered with music, poetry and a reading of the names of the deceased. All are welcome to attend the ceremony, which will be held from noon to 1 p.m. at the flagpole west of California Hall. The names of the deceased to be honored are listed below. If any member of the campus community who died in the past year has been inadvertently omitted, contact campusmemorial@berkeley.edu. Please submit corrections by Wednesday, Sept. 21.